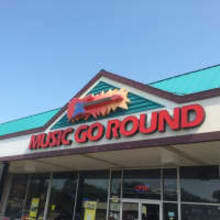 Music Go Round® Roseville, MN is your ultimate used gear resource- we buy used musical instruments all day, every day. We are open 7 days a week so please give us a call with any questions about the gear we have for sale. Our used musical instrument inventory changes every day! We offer a large selection of high quality used musical instruments. Music Go Round Roseville successfully ships fragile, vintage, and very valuable items EVERY business day! The charge is determined by the actual cost to professionally ship merchandise safely to your front door. This includes, but is not limited to, tracking, insurance, and shipping materials. Local pickup is available in Burnsville, MN by the actual buyer with a valid photo ID. All Minnesota residents and local pickup customers are required BY LAW to pay 7.125% sales tax. The freight cost listed is valid only for the Continental US. We do not ship freight collect or with a provided account number. All items shipped within the Continental USA are shipped via professional freight companies. All Items require a signature upon delivery. We must ship to the confirmed address provided with the payment. If you are not within the lower 48 United States please contact us for a freight estimate. If the international shipping rate seems high please contact for an exact estimate to your location. Please contact us, we are happy to assist you with any questions you may have regarding a purchase.